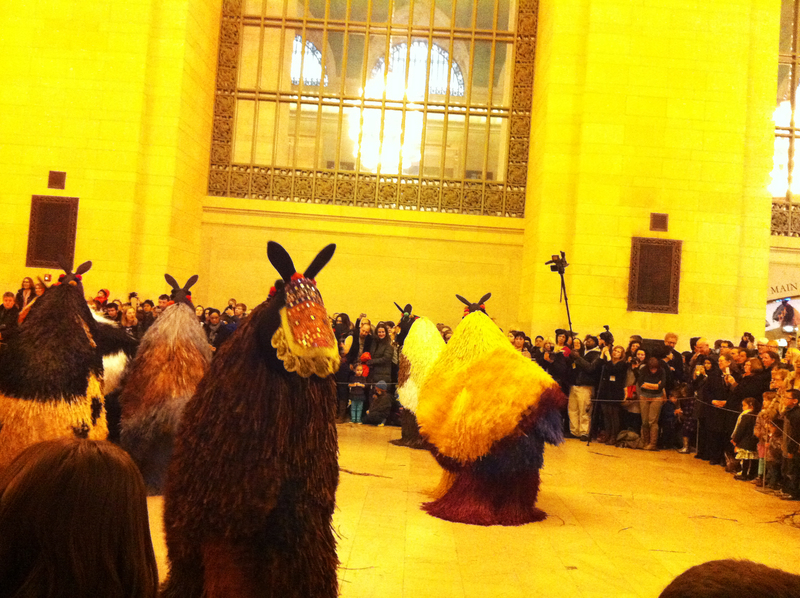 When I saw that Nick Cave was involved in an unique performance of dancing horses at Grand Central Station – Heard NY – I immediately thought it would involve rock and roll. Wow, that would be quite an event! 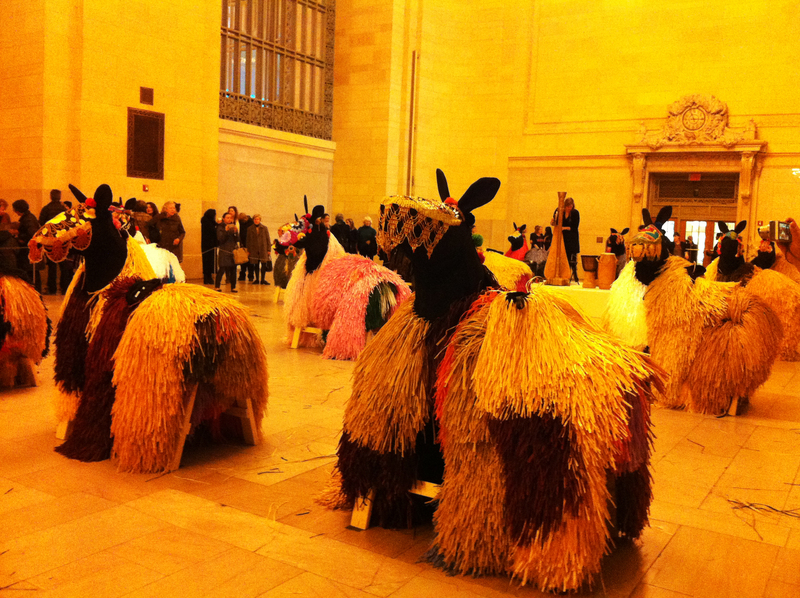 But it wasn’t Nick Cave of the Bad Seeds, it was Nick Cave the American performance artist, the man who trained as a dancer with Alvin Ailey and who brought a colourful herd of raffia horses to Vanderbilt Hall this week as part of the Station’s 100th birthday. The horses were true to the themes of Mr Cave’s work, they were extraordinary colorful sculptures that made noise when they moved – their raffia costumes rustled as they first grazed and then galloped with harps and drums setting rhythm in the background. 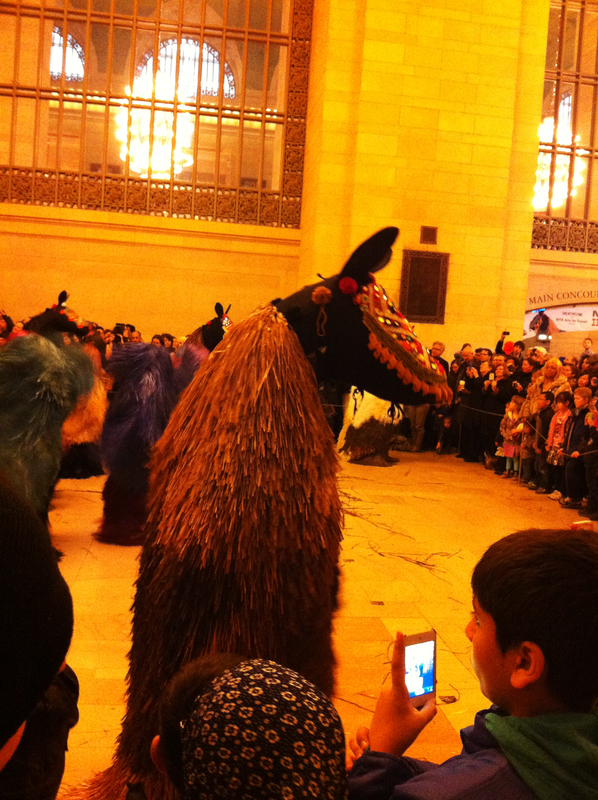 It was spectacular, each mount having it’s own personality, playing to the children and the cameras in the audience. 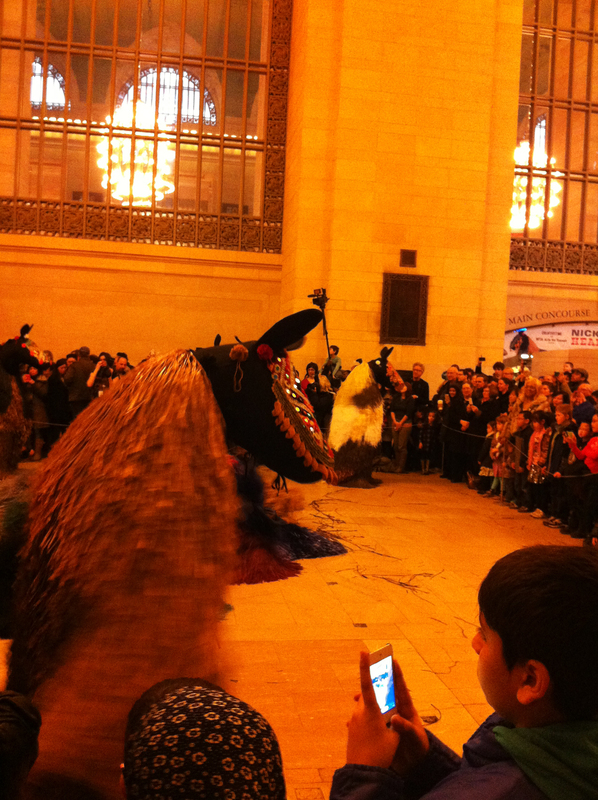 After much prancing the horses were immobilized, hoisting their costumes onto a stand to pose until the dancers returned to give them life for the next race. Just imagine the performance if the two Nick Caves got together…?! This entry was posted in art & inspiration, events, Fun. Bookmark the permalink.